In recent years, the Dehong Dai and Jingpo Autonomous Prefecture in the Yunnan Province of China has attracted a lot of tourists due to its colorful culture and landscape. It is the home to numerous ethnic minorities like the Dai, Jingpo, Lisu, Achang, and the De’ang. 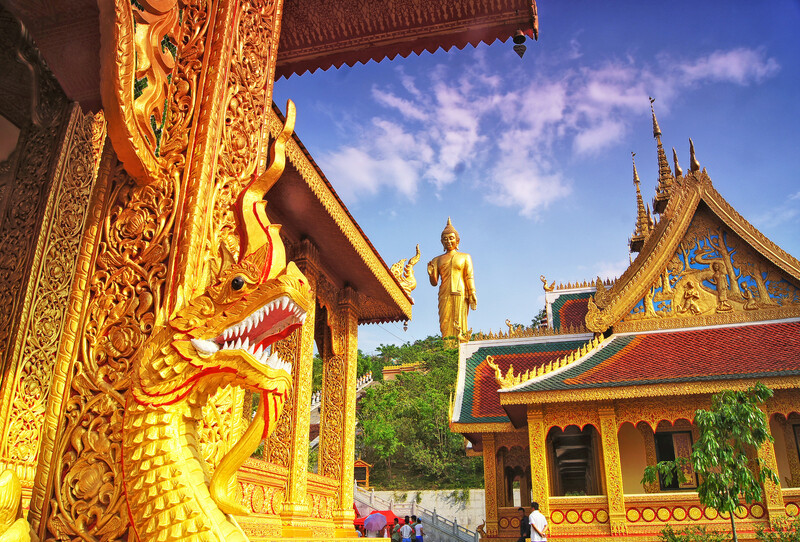 Each ethnic group has its own special customs, traditions, and festivals. The people of Dehong like to sing and dance at every opportunity. The region is also known for the green peacock (an endangered species) and white jade found on the riverbed. Today, the Dai ethnic community have a major presence in the Dehong Prefecture. The first kingdom established in 424 BC in the region was by the ancestors of the present Dai ethnic group. Then the Silk Route brought traders and immigrants from the West and from India. Later on through the centuries, various kingdoms ruled the region bringing other nationalities and ethnicities. Today’s Dehong Prefecture is a wonderful blend of ethnic customs, traditions, religious beliefs, celebrations, and talent. Their markets are filled with shops selling handmade items made from fossil jade and semi-precious gems. There are numerous outlets selling brocade and embroidered fabric and accessories. One should not leave Dehhong Prefecture without purchasing the Huilong tea in the Lianghe County. 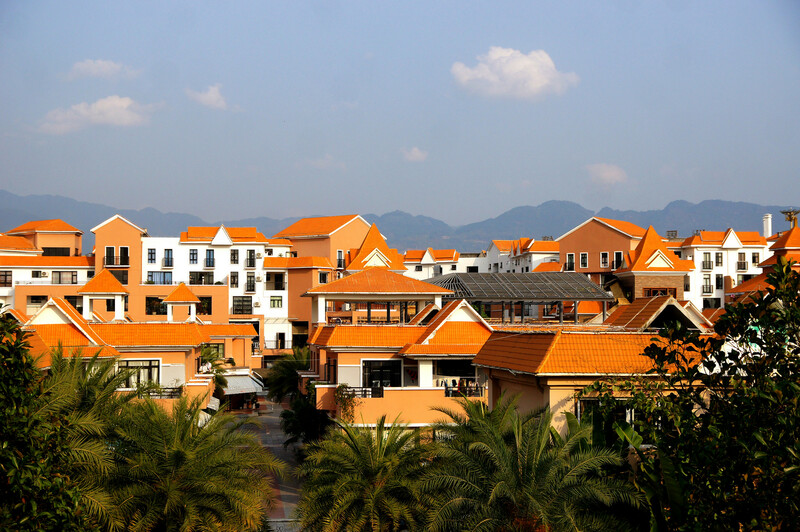 A visit to the Jiegao Border Trade Zone in Ruili City is also a good idea. One can buy some really interesting souvenirs made by the local Dai people and those obtained via the traders of Myanmar across the border. 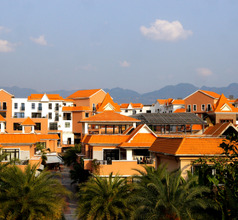 Some of the best star hotels in Dehong Prefecture are located in the Ruili, Yingjiang, and Mang districts. They usually have large and comfortable room and various amenities like in-room dining, multi-cuisine restaurants that serve International fare, concierge services, swimming pools, organized sightseeing tours, housekeeping, etc. The ambience and amenities will vary according to the stars. There are several budget hotels and inns for backpackers and families traveling on limited funds. The accommodation will still be clean but the amenities are very basic. For those who wish to spend more time near the ethnic villages, the smaller towns near the villages have numerous guesthouses or inns. Of course, it will be sensible to carry an English-Chinese dictionary in case the staff does not understand English. Dehong Prefecture has many historical and religious relics that give the people a reason to celebrate. The Yunyan Pagoda located in Yingjiang County is the venue of the famous Water Splashing Festival of the Dai ethnic group, which is a unique experience for tourists. One of the most spectacular sights in Dehong Prefecture is the Munao Zongge, an ethnic festival celebrated on 22nd February each year. It is the largest ethnic mass dance performance in the world and is a very colorful event that attracts tourists from all parts of the world. 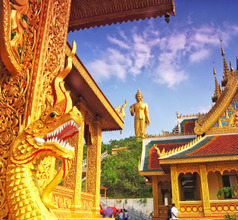 The Tree-Wrapped Pagoda (also called the Bodhi Temple) is the world’s most unique Buddhist temple and a popular tourist attraction. It is well-known because the roots of a large banyan tree are growing around the temple in such a way, that it looks like arms are wrapped around the temple. Only the main sanctum is not covered by the roots. The prefecture is also blessed with a beautiful landscape and several scenic tourist attractions. The banks of the Ruilijiang River and Da Yingjiang River are covered by evergreen subtropical forests, which include large banyan trees. Other scenic areas include the Daying River Scenic Area, Ruili River Scenic Area, Mengbanaxi Zhenqiyuan Garden, etc. Also, a trip to Dehong would be incomplete without spending a day at the Dadenghan Dai Ethnic Village. The hotels that have in-house restaurants provide International food specialties to cater to the overseas tourists. But the Dehong Prefecture has several Western-style takeaways and restaurants, Chinese restaurants, and Dai ethnic style restaurants where visitors can try out different types of cuisine. 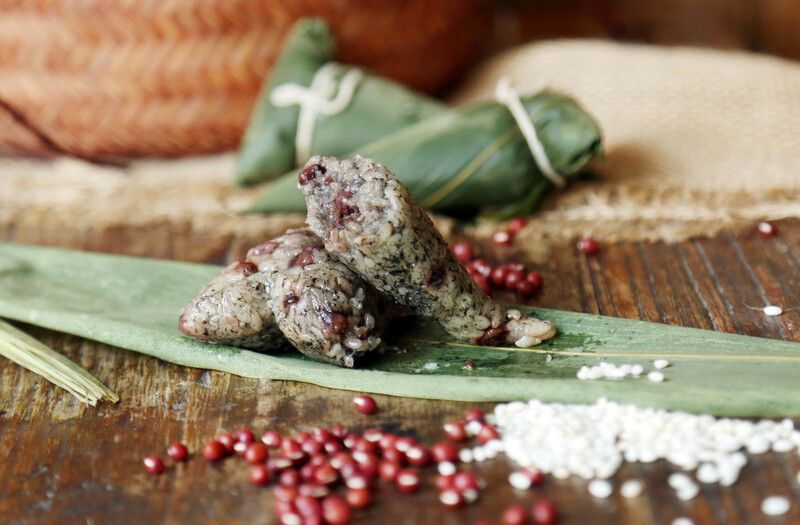 The Green Leaves Banquet is the signature of the Jingpo ethnic group. The banquet includes grilled fish garnished with the local tuynia herb, fried eggs, and meat. This is served along with pancakes and sticky rice. The fish and meats are wrapped in banana leaves before grilling, hence the name. 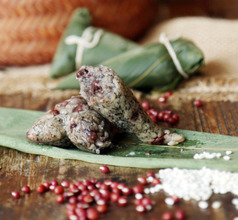 The Paoluda is a very popular sweet dish of the region and a must-try.